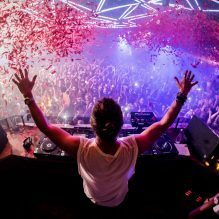 With the release of his album ‘7’ back in September, David Guetta has represented the many different sides of his musical journey by relaunching his Jack Back alias. Beatport has captured the story behind Jack Back in a short documentary ‘The Road To Jack Back’ which will be premiered exclusively on Thursday March 28 during Winter Music Conference in Miami. After the exclusive premiere on Thursday March 28, the full documentary will be available on Beatport’s YouTube channel from Friday March 29.